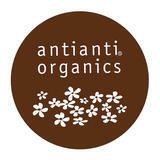 [About "antianti organics"] "Antianti organics" is a small cosmetic maker established in 2000 in Toyama Prefecture, located in the northern part of the central district of the main island. Our key concepts are living cosmetics blended with specially selected water and the world's highest-quality flowers. We launched our business with the founder's passionate wish to send the world's highest-quality super natural cosmetics from Japan to the world. Antianti cosmetics which integrate modern natural science and ancient tradition of healing are made with the lavish use of natural materials finely selected from around the world, including extremely pure rose, jasmine, neroli, and lavender. One of our commitments is that most of these materials are also edible. Without any synthetic chemical substances, our products are made with a thoroughly organic production method, and the natural quality is guaranteed by being meticulously hand-made, based on natural science. It's because we are a small company that we can focus more on quality. We hope that we can live up to the expectations. [Our Policy Statement ] •We use no synthetic preservatives, synthetic coloring agents, or synthetic odorants. •We use the world’s highest-quality materials by reducing wasteful costs like packaging and advertisements. •We only use materials tested and confirmed safe by analyzers like GC/MS for antiseptics, heavy metals, pesticides and other substances detrimental to the human body. We never fail to analyze even materials which are certified organic. •We stick to our policy of making products by hand, however time consuming it is. •We make products 100% biodegradable after use. •We use plant-derived materials whose effects are verified in old literature, and whose safety and function are scientifically evident. •We keep the order fresh upon arrival to the customer. In the store we keep the products refrigerated so they stay fresh. •We do NOT test our products on Animals.